These .22 caliber pellets from Seneca deliver the performance you need for small game hunting or target practice. Each domed round weighs in at 28.5gr. 125 pellets per package. What others should know: These are a tight fit, so they are not for speed reloading. 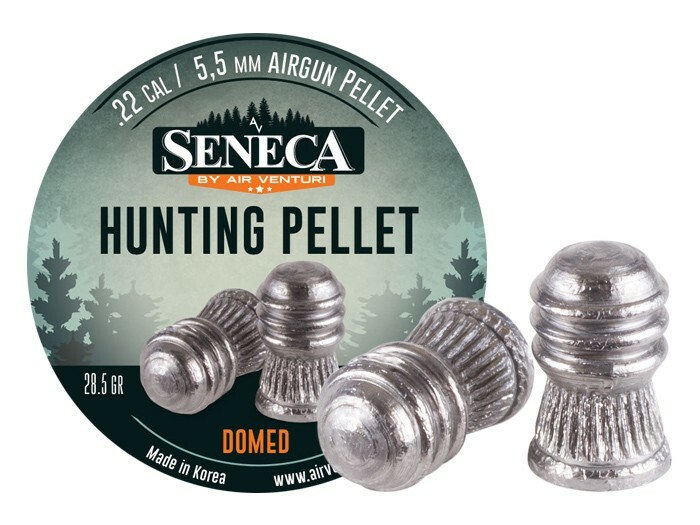 Things I liked: Despite the appearance of these pellets, they shot very accurately.